Photos submitted to Times Observer The first class to graduate from Eisenhower High School — the EHS Class of 1957 — received a tour of the newly renovated facility this week. The class got together for their 60th reunion and Mr. Kelly Martin arranged a special tour for the group and their families. Pictured here are class members Pat Anderson,Barbara Anderson Corell, Janet Houck Wilcox, Dorothy Gage Knapp, Sherwood Lefty Olson, Donald Hook, Don Nuttall, Fred Stanton and Larry Larson. (not pictured) Carol Bailey Christenson, Fred McKinney, and Lloyd Irwin. The 22nd Annual Cruise In Car Show will be Friday, May 26th in downtown Sugar Grove. Rain, Shine or Cold come on out and see all the classic cars, trucks, bikes, and more. All the fun starts at 4:00 p.m. The Sugar Grove Fire Hall will have a Chicken BBQ available inside the Fire Hall and The Flock will be selling Hot Dogs and Popcorn throughout the show grounds. Mark Your Calendars and plan to come. The Community of Sugar Grove will be holding their annual Memorial Day Service on Monday, May 29th at 11:00 a.m. in the Sugar Grove Town Park. Sugar Grove American Legion Post 758 will be the host Veterans Service Organization this Memorial Day with AMVETS Post #50, from Sugar Grove assisting. Please plan to attend as we honor all who have made the supreme sacrifice in defense of our great nation. The AMVETS Ladies Auxiliary will also hold it’s annual “Ducks for Bucks” race following the service. AMVETS Post #50 will have a Chicken BBQ available in the park beginning at Noon. Proceeds from both events will assist with Veterans Projects to include Freedoms Foundation, PAWS, John Tracy Clinic and St. Jude’s Children’s Ranch. Thank you in advance for all your support. The first graduating class of Eisenhower High School was in 1957. There were 48 seniors in that first class. 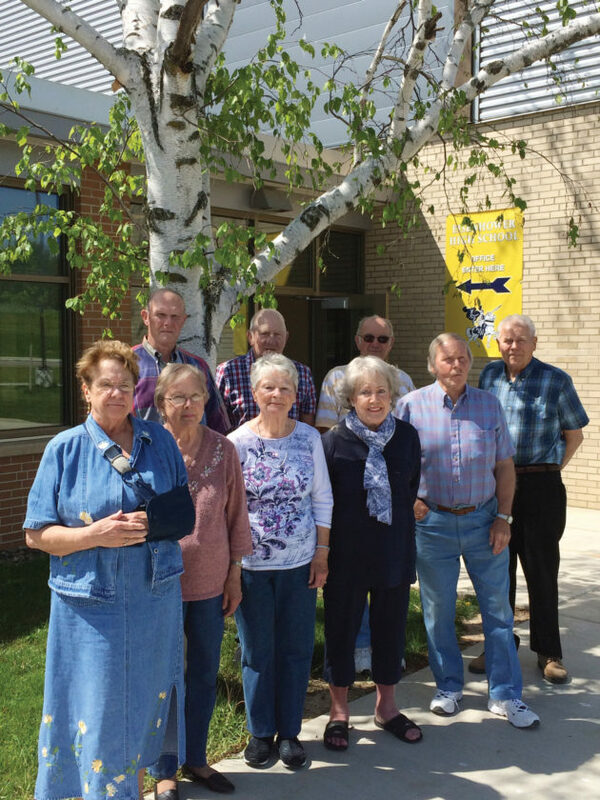 This past week the class held their 60th Reunion Luncheon in Sugar Grove at the Bucket CafÈ. After a good lunch the class members relived stories of that first year at EHS, the undefeated football team, and their memories of teachers. Time was spent remembering those class members who are not with us anymore. William Allenson, Valerie Gage Cracker, Perry Britton, Lawrence Barhite, Lawrence Welch, David Rockwell, Robert Mack, Delores Alcorn, Robert McCoy, Dorie Swanson Spicer, Eunice Clover Hanson, Harry Carlson, Robert VanOrd, William Chase, and James Gruber. At the end of their luncheon Mr. Kelly Martin provided the class and their families a special tour of the newly renovated Eisenhower High School. Many of those in attendance have had children and grand children who have also attended Eisenhower. 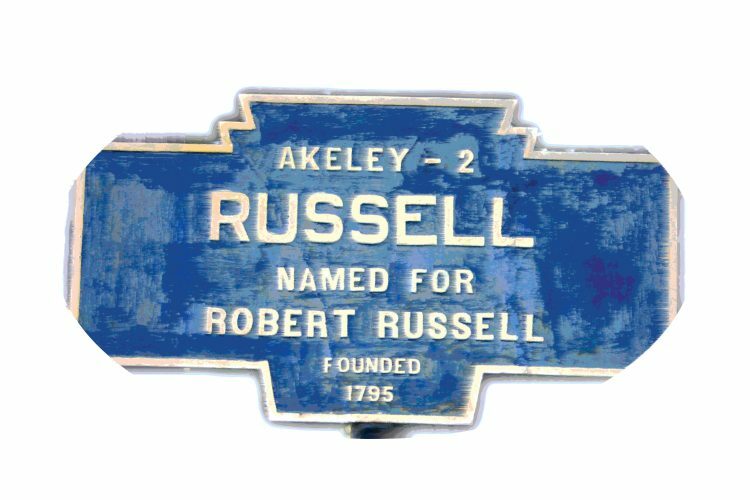 A couple of classmates have great grandchildren planning to attend this fall. Thank you to everyone who made this 60th reunion memorable. The Sugar Grove Free Methodist Church Summer Day Camp will be starting Monday, June 19th. For information on registering your child for all the fun summer activities, contact the Summer Day Camp office at 489-3105. For those who graduated 50 years ago, there will be an Alumini Luncheon on Julyy11th at the Youngsville Fire hall from noon until 4:00 p.m. This year the YHS Class of 1965 are the hosts and the class of 1966 are the honored guests. Please mark your calendars and plan to attend this enjoyable event. We ask that you bring a dish to share. The meat and cheese trays, beverages, plates and silverware will be provided. The YHS Alumni Association would appreciate any donations to fund future luncheons and the scholarship fund. Donations will be accepted at the luncheon, or if you cannot attend and want to donate, you can send a donation to Mary Ann DeVore, 31 Yucha Drive, Youngsville, PA 16371 or contact814-563-9873 for more information.